No city in Ireland connects the kaleidoscope of historical dots more colorfully than Derry, which is in British-ruled Northern Ireland. Small and pretty, the city is a welcoming and manageable place for visitors — and most of its sights can be covered easily on foot. Now a worthy tourist destination with the best city walls in Ireland, during the 20th century, sectarian struggles plagued Derry. When Ireland was divvied up between the North and the Republic in the early 1920s, Derry's waterway — the River Foyle — was a logical border. But, for sentimental and economic reasons, the Protestant North kept all of this predominantly Catholic Nationalist city. Subsequently, the two sides have fought over its status. Even its name has been a source of dispute. It's "Derry" to the Catholics and "Londonderry" to the Protestants. I once asked a Northern Ireland rail employee for a ticket to Derry; he replied that there was no such place. Still, I call it "Derry" since that's what most of the city's inhabitants do. The name has a good pedigree, dating back to 546. In that year the holy St. Columba established a monastic citadel here. He chose a hilltop site in the middle of an oak grove, or "doire." The name stuck. Fast-forward a thousand years to 1613, when the English arrived. 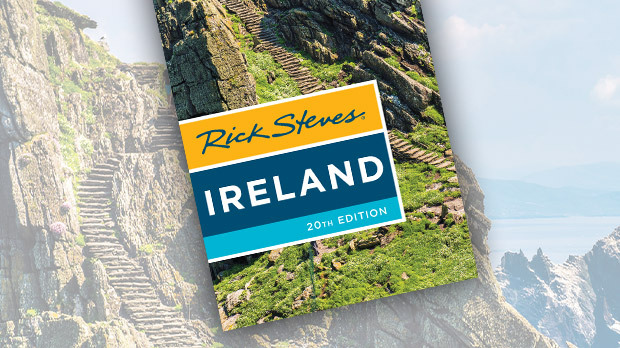 To establish a Protestant toehold in this Catholic part of Ireland, they began "planting" the region with loyal Protestant colonists imported from Scotland and England. Since many were financed by wealthy London guilds, they changed the name to "Londonderry." To keep out the Irish, who'd been forced onto less desirable land, the English surrounded the city with a stout defensive wall. 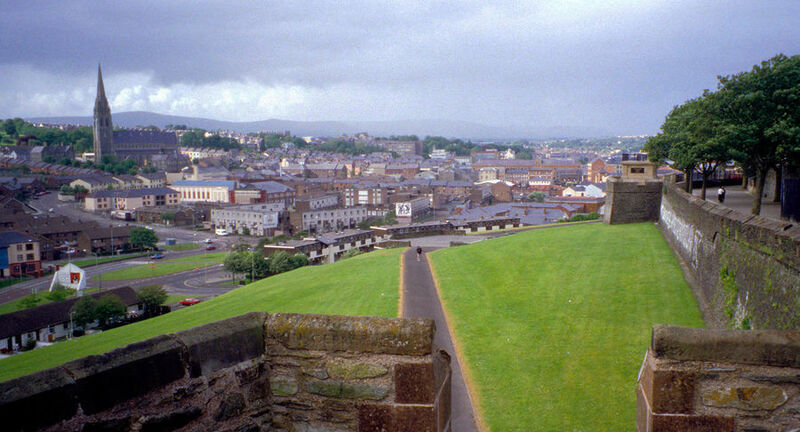 Today those walls make Derry one of the best-preserved fortified cities in Ireland. They stand almost 20 feet high and nearly as thick, with 24 cannon standing sentinel. The walls are a good place to start a Derry visit. Poetically described as the city's "necklace," they form a mile-long loop encircling the original old town, and give a good view of its 17th-century street plan. The top o' the wall promenade (open from dawn until dusk) is a popular destination for Derry's inhabitants too. The walls proved their worth in 1688–89, when the Catholic King James II and an Irish army besieged the city. Derry's determined Protestant defenders, loyal to King William of Orange, slammed the town gates shut and successfully outlasted their foes for 105 grinding days. The townsmen held off James with the help of "Roaring Meg," a cannon renowned for the fury of its firing. You'll find her, beautifully restored, on the walls at the Double Bastion, a fortified platform. From the Double Bastion, you can also enjoy a fine panoramic view over the Catholic Bogside neighborhood. These days, this gritty part of town is quiet and safe, but it wasn't always so. For many years, Bogside was the tinderbox of the modern "Troubles" in Northern Ireland. Most notably, the tragic 1972 Bloody Sunday events unfolded here, during a march protesting the internment of pro-Catholic activists. When a British regiment moved in to make arrests, 13 marchers died. The clash sparked a sectarian inferno whose ashes took decades to cool. Today, visitors come to Bogside to honor this sad past and to view 12 memorial murals, painted along a 300-yard stretch of road where the march took place. Dramatic and emotional, these political murals — and others around Northern Ireland — form an enduring travel memory. Sectarian violence in Ireland has given way to a settlement that seems to be working. Both sides have come to the position that "an eye for an eye leaves everyone blind." 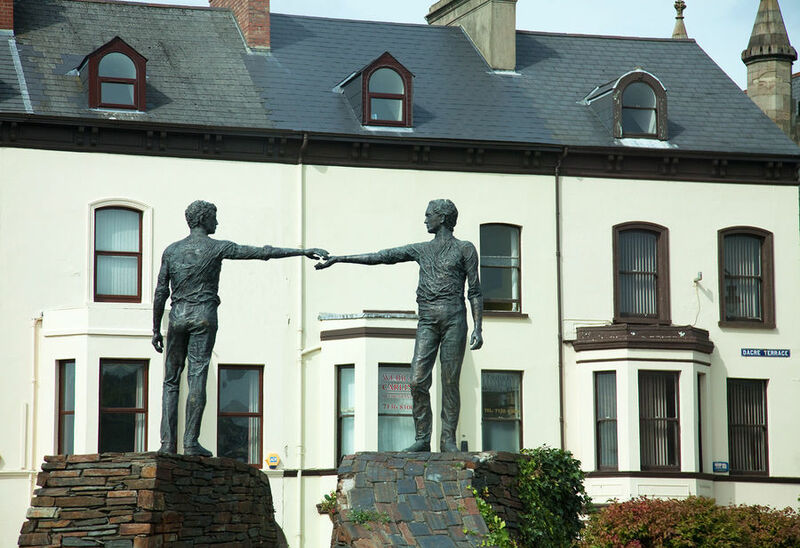 In Derry, the growing hope for peace and reconciliation in Northern Ireland is expressed in a powerful public-art sculpture of two figures extending their hands to one another. Given the city's complex history, it's worth taking the time to drop by the Tower Museum Derry. Occupying a reconstruction of a fortified medieval tower, the exhibits at this well-organized museum help sort out Derry's tangled historical roots. These days, the once divided city sees itself as a shared city. The symbol of that recalibration is the Peace Bridge across the River Foyle. This pedestrian span, built with European Union funds, is intended to bring the two sides together: east bank and west bank, Irish and British, Catholic and Protestant, Nationalist and Unionist. And to the surprise of locals, it's working. In a sign of the times, a British army base that once occupied prime real estate near the old city wall has been transformed into an outdoor concert venue and a gathering place for all of Derry. It's an emblem of what's happened here; you'll find that now the long-divided communities love their "legend-Derry" Irish city.